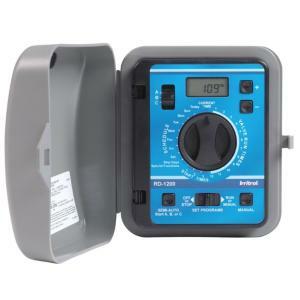 The Outdoor Rain Dial-R’s unique modular design makes programming, installation, and servicing fast and easy. With seven day calendar or "skip days" interval options from one to 15 days, this controller is ideal for small agriculture, commercial and industrial applications. The modular design allows easy removal of control modules without disturbing valve wiring. In addition, pairing it with the optional Climate Logic® Wireless Weather Sensing System makes water management a breeze. When using with Climate Logic the Rain Dial-R will automatically adjust the watering schedule according to the weather. This helps maintain a healthier landscape and reduces water consumption and cost. Three independent programs with three start times each, allow flexibility to meet the needs of a wide variety of landscape sites.